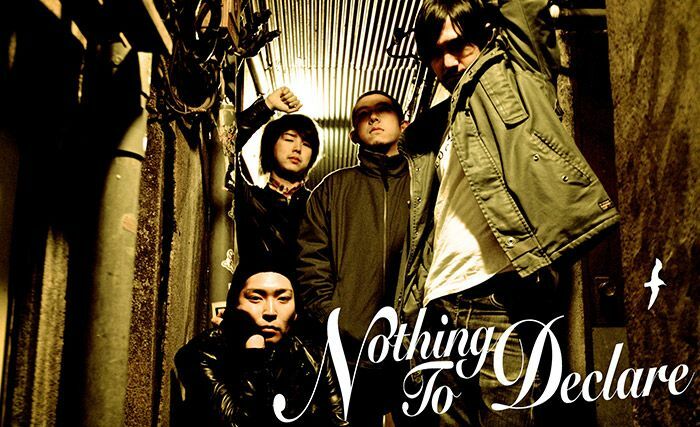 Nothing To Declare are an alternative rock band from Tokyo. Founded back in 2005, it was initially frontman Mas Kimura's solo project during his earlier music career touring Southeast Asia with Pug Jelly and Saw Loser. After Mas decided to relocate back to Japan, he met Yoshi, Masa and Mutsumi in Tokyo, who finalised the line-up. As all of their songs are written and performed in English, this unique mix of English and Japanese elements has earned them an inimitable style that has neither been heard of nor seen before. Last year, they released their second single, Somebody Wants Me Dead and a performance-based music video. The group recently appeared on a compilation CD by record label Maximum 10 with other great bands such as FACT and Pop Disaster, and have also released their new record.